Ghana Education Service (GES) has referred to Economic and Organised Crime Office (EOCO), the case of 120 teachers sacked in Upper Manya Krobo for using fake documents to get jobs with the service. Public Relations Officer, Parker Allotey, told Joy News’ Beatrice Adu “the case has been referred to EOCO. The fake teachers were found out after authorities realized schools in the district had been performing poorly over a number of years in the Basic Education Certificate Examinations (BECE) which are conducted by the West African Examinations Council (WAEC). Some of the teachers are said to have possessed just a BECE certificate. Parker Allotey said the GES was also investigating the matter and will make its finds as well as its sanctions public. 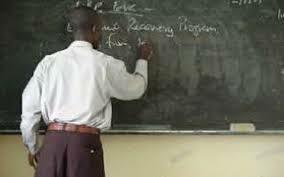 Poor standard of teaching in rural areas over the years has informed the Ministry of Education’s decision to transfer more teachers from Accra and other urban centers to rural areas, where they are most needed. The situation also compelled government to declare a “zero tolerance” for teachers who refuse to go to the classrooms, but continue to draw their salaries. Government also introduced the school reporting card system as one of the measures to ensure effective supervision. According to Minister of Education, Prof. Naana Jane Opoku-Agyemang, latest report by the Inspectorate Board Ghana Education Service (GES) indicates that teacher absenteeism dropped from 27% to 12% since the policy was implemented in the 2013/2014 academic year. Addressing a durbar Saturday May 17, 2014, to mark 60th Anniversary celebration of St. John’s Grammar School, Prof. Naana Jane Opoku-Agyemang, commended teachers for heeding to the call to return to the classrooms. She however maintained that “the policy is not targeted at teachers but absentee teachers” and implored all teachers to join the GES’ efforts in improving education in the country. “…quality education delivery is the responsibility of the government in partnership with all Ghanaians. We need all actors in the process of education delivery to play their roles accordingly. This way, a more desirous result can be achieved from our efforts,” the Minister stated.